Whether you are a boat dealer, marina operator or own a yacht detailing company, you have unique needs and requirements when it comes to liability protection. These requirements help protect your business against any lawsuits stemming from business operations. This is where the decision to obtain a Marine General Liability policy vs. a General Liability policy comes into play. People may not realize that a General Liability is not adequate to cover their operations; unfortunately, because of numerous exclusions involved in a General Liability policy, the insured may not be covered in the areas needed. · Learn the truth about General Liability – Did you know that a generic General Liability policy does not include watercraft coverage, including “the ownership, maintenance, and use of” watercraft owned or operated by you, the insured? Perhaps you would naturally assume this is covered – which brings up the fact that an experienced insurance broker could help you when it comes to the specifics of policy exclusions and/or benefits. · Who the exclusions affect – Exclusions can affect a wide variety of people, but for the purpose of this post let’s specifically talk about boat dealers, marina operators, etc. If you fall into any of those categories, then you are aware of the frequent operation of watercraft that takes place in your business. Operations, such as employees operating boats, or doing any type of test or demo drives for a customer are also excluded under a General Liability policy. If anything happens during these types of “operations”, you could be left vulnerable and uninsured. · Another Interesting Exclusion – If you are considering purchasing an unendorsed General Liability policy, consider this: the “care, custody or control” of personal property of others is also excluded, meaning additional operations like boat repair, storing, hauling, fueling, launching and slip rentals are also uncovered. · Part Installers Beware – Perhaps you are a boat dealer who also installs aftermarket equipment or parts on boats. Unendorsed General Liability policies contain a “your work and product” exclusion, meaning any claim related to the installation of your aftermarket part is also not included. 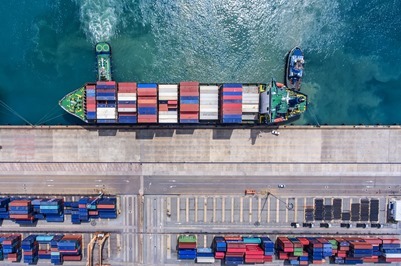 The bottom line is most General Liability policies exclude any work done on the water or vessels, while specifically obtaining a Marine Liability policy will cover you for damages or liability to a third person engaged in marine operations. Working with an expert insurance broker, like the brokers at MHG Insurance Brokers, can help you obtain a policy that specifically addresses your needs and is customized to your benefit. Remember, cruise lines and marinas require proof of appropriate insurance coverage before any job can begin, so make sure you have the right policy in hand. To learn more about the advantages of Marine General Liability coverage, contact an MHG broker today by visiting mhginsurance.com or calling 954-828-1819. For more information on filing an MGL claim, read our previous blog, “How to File a Marine General Liability Insurance Claim”. Whether you are a boat dealer, marina operator or own a yacht detailing company, you have unique needs and requirements when it comes to liability protection. Read more! What Should I Do With My Tax Return? It’s everyone’s favorite time of the year, tax season! Filing taxes can be a real pain, but if you are one of the lucky ones who are due to receive a nice check from the IRS, this can be a rewarding time. While having the latest iPad is great, you may come to regret that decision later. Instead of spending your tax return on a new gadget or vacation, try paying yourself. Sometimes bills seem like they are never ending, but one bill that you may come to enjoy paying are those that will pay you down the road. Catch my drift? Whether you are established in your career or you are just starting out, you should be thinking about your retirement. Sometimes it can be difficult to put yourself in situations later in life, partly because life can be so unexpected. It just happens. But what some people don’t consider is that when you retire, you won’t have the same income to support your lifestyle. One way to fix that is by saving your money! If you are forward thinking and sacrifice the right amount of money now, what you enjoy now you can enjoy later too! Is it me or do paychecks seem like they are never enough? While there is a lot more to life than earning a wage, the amount you earn is still important because it determines what you can afford. Having a family is important to a lot of people, however a family can be very expensive. Also waiting until you have a family can feel like it is too late to start, or that you missed your chance to begin planning for retirement. While there is a prime age to begin saving for retirement, don’t ever think it is too late to start if you haven’t. Remember, better late than never. So if you don’t think you have the funds to save for your future and your retirement, using your tax return to do so may be a smart idea! Another thing to note, once you save your tax return, you may feel more motivated and inclined to continue to do so throughout the year. · Life Insurance – There are several types of life insurance policies that can set you up nicely later in life. Policies such as Whole Life and Universal Life are ones you should consider. · Annuity – Depending on the person, an annuity may make more sense than a life insurance policy. · Combination – The best way may be to do a combination of life insurance and an annuity. Ever hear the saying, “Never put all your eggs in one basket”? The obvious benefit of investing in your future is that you will have income later in life when you decide to “hang them up”. But one benefit that should be considered is one that may be provided by purchasing life insurance. Did you know that if you develop a serious or terminal illness, you could have some of the death benefit value available to you to use while you are still alive for medical bills or whatever you choose. Also, you may have the opportunity to take loans from yourself. Wouldn’t you rather owe yourself money than owe the bank? It is important to note that MHG Insurance Brokers does not provide tax advice. Speak with a tax advisor if you have any questions regarding your tax filings. For more information regarding what life insurance options are available to you, read our previous blog, “What Are My Life Insurance Options?“ Whether you are purchasing life insurance for the first time, looking for better coverage or are interested in learning more about other types of insurance available to you, we can help! Visit our website at mhginsurance.com or speak with an Insurance Specialist at 954 828 1819. Filing taxes can be a real pain, but if you are one of the lucky ones who are due to receive a nice check from the IRS, this can be a rewarding time. Whether it’s the Deckhand that sustained serious head trauma from a motorcycle accident while ashore on boat’s business or the Captain that experienced a severe heart attack while on vacation, MHG has seen a wide array of yacht crew insurance claims over the past 20 plus years. While these examples are tragic and catastrophic, it is also important to be prepared for the more common yacht crew insurance claims that can be less serious but have the potential to keep you off work. Knee injuries are responsible for a large percentage of the insurance claims filed by yachties. Yacht crew perform their duties while balancing on moving decks, which exposes them to an increased risk of incurring a serious knee injury while performing seemingly safe activities. Some of the more adventurous crew leisure activities, such as scuba and other water and winter sports, can result in knee injuries that may not be covered by standard crew insurance policies; make sure your comprehensive yacht crew insurance policy specifically includes coverage for your favorite leisure activities. Repetitive strain injuries are often seen in crews on yachts, as they are constantly performing similar tasks in the same small spaces. Hernia, back, and shoulder injuries abound; yacht crewmembers may need to undergo surgery as well as a considerable number of physical therapy sessions in order to make a full recovery from these injuries. Injured crew members may be unable to work for extended periods of time as they undergo physical therapy and rehabilitation. This can leave yacht crew in a financially precarious position unless they have marine disability income insurance in place to provide a significant portion of their salary while they are recuperating. Gastrointestinal issues and regional illnesses are some of the most common medical hazards faced by yacht crews. Food poisoning, unclean water, local parasites, and diet changes can result in serious gastrointestinal issues that can necessitate on-shore doctor visits and even hospital stays. Make certain you have an international health insurance policy from a carrier that has resources to provide information in the particular regions to which you will be traveling and has, or can, establish doctor and hospital relationships, to ensure you have access to qualified care wherever you are in the world. Selecting the right yacht crew insurance plan can be difficult. The experienced Insurance Specialists at MHG Insurance Brokers will help you sort through the terminology and key features to determine the best plan for your unique circumstances, coverage requirements, and budget. Once you have chosen a policy, we will continue to assist you with questions about the coverage it provides and guide you throughout the claims process. MHG Insurance Brokers offers a wide range of yacht crew insurance plans including international health insurance, US health insurance, sick pay/disability insurance, life insurance, and travel insurance. Solutions for individuals, groups, and fleets are available. Call MHG Insurance Brokers today at +1 954 828 1819 or +44 (0) 1624 678668 or visit us online at mhginsurance.com to find the yacht crew health insurance plan that perfectly meets your needs. Be prepared for the more common yacht crew insurance claims that can be less serious but have the potential to keep you off work. Health Insurance Is Not Enough! Everyone tends to focus on the need for health insurance, we certainly do here at MHG. However, the fact is, there are several other types of insurance that you should have before you are sufficiently covered. While each person has different needs and different circumstances, almost everyone can benefit by having additional coverage for other things besides medical expenses. Here are some other types of insurance to consider, each of which have a specific role in protecting you and/or your family. Disability coverage can often be financially more important than health insurance. For example, consider someone who had an accident and could not return to work for a few months or longer. Not only are there medical bills, but there is no income to help pay normal daily living expenses. If that person was working on a ship/yacht/boat, maybe in addition there are other land-based costs that were not there while onboard (Rent!). This is a recipe for financial disaster, but having disability insurance can help by providing you with income when you cannot work. Life insurance is simple. It is a policy that helps protect your loved ones from the present and future financial losses they would face in the event of your death. There are many different types of life insurance, but they all have the same primary purpose. The best way to determine whether or not you need life insurance is simple, EVERYONE should have it! Even if you do not have family members depending on your income, wouldn’t it be great to leave a legacy by designating your favorite charity as the beneficiary upon your death? Travel insurance is an inexpensive and easy way to make sure you have coverage for accidents or illnesses when you travel outside the range of your existing insurance at home. It is also a great way to fill in gaps when you are between jobs (as long as you aren’t living in your home country). Travel insurance, like the other insurances above, comes in many variations from the most basic emergency cover, to coverage that includes the cost of your trip should you be unable to take it or complete it. It can have provisions for loss of luggage, repatriation benefits, and of course it can meet Visa requirements for certain countries that may require insurance as part of being granted entry. Whether you have questions about your current yacht crew health insurance plan, or are looking for additional coverage such as sick pay / disability income or life insurance, the Insurance Specialists at MHG are glad to be of service. Call us today at +1 954 828 1819 or +44 (0) 1624 678668 or visit us online at mhginsurance.com. While each person has different needs and different circumstances, almost everyone can benefit by having additional coverage for other things besides medical expenses. FORT LAUDERDALE, FL (March 1, 2018) – MHG Insurance Brokers, the cruise industry’s benefits specialist, has released a groundbreaking study of the benefits provided by the cruise industry. 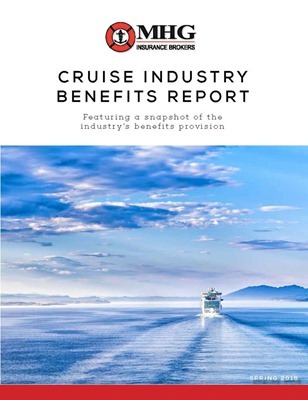 The exclusive report, titled Cruise Industry Benefits Report, is the inaugural issue and includes a snapshot of the benefits provided across 22 cruise lines along with relevant topics affecting benefits in the industry. The focus of the report is the benefits matrix, a comprehensive list of the industry’s benefits provision. The issue also includes a welcome message from CLIA President, Cindy D’Aoust, Ritz-Carlton Yacht Collection’s Lyall Duncan touches on the importance of benefits when it comes to recruiting and retaining the industry’s best, Global Medical Management speaks to additional ways cruise lines are helping to care for their employees, and Salen Ship Management’s Niklas Peterstam provides a unique perspective as a recruiter and recipient of benefits. MHG Insurance Brokers continues to be at the forefront of developing insurance solutions and products to meet the changing needs of the cruise industry, businesses, and individuals around the world. To receive a copy of the Cruise Industry Benefits Report or to schedule an appointment to review the report and discuss your benefit strategy, please contact Edward “Mole” Telfer at +1 954 828 1819, pr@mhginsurance.com or see us at Seatrade Cruise Global, booth 927. MHG Insurance Brokers, the cruise industry’s benefits specialist, has released a groundbreaking study of the benefits provided by the cruise industry. FORT LAUDERDALE, FLORIDA (February 27, 2018)- MHG Insurance Brokers announced today that Account Executives Nadia Bedasse-Francis and Tom Nickerson have been promoted to managerial positions within the U.S. Life & Health Division. With plans to continue growing the Life and Health Division, Nadia will now move into a Business Development Manager role, while Tom will now serve as a Manager in the U.S. Life & Health Division. Prior to taking on these new roles, Nadia and Tom both served as Account Executives working side by side managing accounts, looking for new business, assisting clients with claims, and much more. In these new roles, Nadia and Tom will be able to focus on their strengths, which will allow MHG to continue to grow and operate more efficiently. This will help existing clients knowing who their point of contact should be, and prospective clients having their needs met. MHG Insurance Brokers has been providing insurance guidance and solutions since 1991. The company has established an unrivalled reputation for providing quality insurance products that meet clients’ coverage requirements and budget. MHG Insurance Brokers announced today that Account Executives Nadia Bedasse-Francis and Tom Nickerson have been promoted to managerial positions within the U.S. Life & Health Division. Can I Borrow Against My Life Insurance Policy? Have you ever needed to borrow money? Chances are that you have. At some point in life, everyone finds themselves in a situation where they may need to take out a loan, borrow money from their parents, dip into their savings, etc. It’s part of helping yourself get squared away, or getting to the next level, or maybe even just to stay afloat. Many don’t want to put themselves into debt, and sometimes there is no other option. But what if I told you that you can borrow money from your Life Insurance policy? Now do I have your attention? Yes, you can borrow money against your life insurance policy. It is a quick and easy way to get cash when you need it most, with no explanation needed of how the money will be used. Also, unlike bank loans, a policy loan has no effect on your credit, and if you can believe it, you don’t have to go through a credit approval process or credit check. This is because you are essentially borrowing money from yourself. However there are some specifics to note before you make the decision to contact your insurance agent. For those of you who are thinking about borrowing money from your life insurance policy, let’s not get ahead of ourselves. First, you need to know that this can only be done with a permanent or whole life policy, not a term policy. A whole life policy typically has a higher monthly premium than a term policy, partly because it lasts for life. Part of those monthly premiums will collect as cash value that you can have access to. Keep in mind it can take quite a few years to build any cash value, so it may be significantly lower than the total of your premiums payments. Once you have enough of a cash value built up, then you can borrow money. Unfortunately, you can’t go and purchase a life insurance policy right now and take out a loan tomorrow. However, this may be the little push you needed to get life insurance if it was something you have been putting off. It should be said that it isn’t a good idea to get life insurance coverage just for loan purposes, or trying to beat the system. This is just one of many benefits for those who make the decision to get coverage. It should also be noted that depending on your loan, it will still be expected to be paid back with interest, much like a bank loan. Typically the loan can be paid back with lower interest rates and a more flexible schedule, however it should still be paid in a timely manner. Some loans won’t require you to payback, however the loan amount will be deducted from your death benefit. There will also be interest to pay in this case. Even better news, the loan is not recognized by the IRS, so it will be tax free. The only way you will have to pay taxes on the loan is if the policy lapses, then you must pay taxes on the full amount of the cash value. For more information on life insurance, be sure to read our previous blog, “Should I Purchase Life Insurance in My 20’s?” If you are interested in purchasing life insurance, or have any questions about your policy, or which policy would be best for you and your family, contact us at 954-828-1819 or visit us online at mhginsurance.com. We have the insurance specialists to assist and advise you on the best coverage for you and your loved ones at every stage of life. At some point in life, everyone finds themselves in a situation where they may need to take out a loan, borrow money from their parents, dip into their savings, etc. Yacht Crew: Urgency or Emergency? While any or all of these may be in play at the same time, the key is to realize when your behavior matches any one of these and to take corrective action before it gets worse. You should have your own onboard medical protocols and procedures readily available, and you also should be familiar with them in the event they are not accessible at the time of the incident. With injuries, it can be difficult to know if something is a bad strain or sprain, or whether it’s broken. Don’t test it to find out! Instead, don’t move unless you absolutely must and ask for help. Once the situation has stabilized, have it evaluated by a medical professional onboard or at the nearest port. On the other hand, you have some sort of illness that is making you feel uncomfortable, the key is to determine what it might be as quickly as possible, and take appropriate actions to treat the condition. In the event of a suspected contagion, isolate yourself as soon as you can. Certainly there are any number of different medical situations that can arise while at sea or ashore. Some are of Urgency, while clearly others are an Emergency. The secret to a successful outcome in any case is knowing what steps to take, whether it is you, or a fellow crewmember that needs assistance. It’s also important to know what requirements you may have under your health insurance and/or P&I insurance for notifying the appropriate people about any accidents or injuries that might occur. That way the proper coordination may be made to facilitate costs of treatment and coordination with the hospital/doctors/facility that provide you with care. Sickness or injury onboard, no matter how minor it may seem, should be treated with the utmost care and as an emergency. How Do I Protect My Business from Cyber Breach? Can you guess what the biggest threat to your business is? No, it’s not looting, and definitely not slander, it’s Cyber Breach! Years ago, a big topic was identity theft, and people having their credit cards compromised. As those issues are still common today, there is a much larger issue at hand. If a company has a breach, millions of customers could be at risk instantly, whereas before, people had their private information breached one by one. Can we go back to the old days? 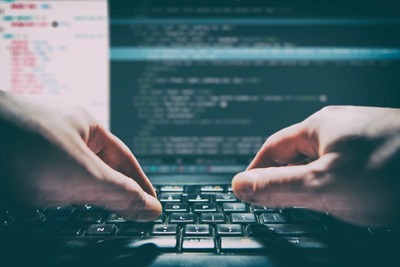 Companies have begun investing heavily in security and creating in-house security teams to protect themselves from having their private information hacked. With millions of people affected by cyber breach across the world, it has become a common issue for businesses. According to Experian, in 2016 personal account information surfaced on the dark web resulting from the data breaches of LinkedIn, Dropbox, and Yahoo in 2012 and 2014. This re-exposed 732,000,000 email addresses and passwords. How do I know if my business is at risk? Many people think that a cyber breach can only affect businesses that have online stores, or sell a product or service through a website, however, that is not the case. Your business is at risk if it handles sensitive computer data such as credit card information and bank account numbers. Whether online, or in a computer system, information just isn’t safe anymore. Hackers are able to bypass security software, and can get into your company’s servers to access all the information they want, at times getting through the best security available. Unfortunately, these days having the best security software and team cannot guarantee the safety of your business. Although they are good investments to have, because they can make it quite difficult for a hacker which may make your company less of a target. How will it affect my business? A breach can cause an extensive threat to your financial stability. No matter the size of your business, federal law now requires you to notify every one of your customers affected by the breach. You may need to pay for extensive damages across your business if you are one of the unfortunate companies that has their business breached such as, a PR team for damage control, forensic services to find out the extent of the breach and make the necessary security changes, legal services to protect you from individual and class action lawsuits, etc. Hackers can also gain access to your employee’s information, such as email, and begin to contact others through that email address. This can create a massive headache for your company. Imagine an executive asking someone within the company for money in an emergency situation. They can contact the finance department and give them a heads up, that way when the employee goes to retrieve the money, there are no red flags. Before you know it, your company just lost tens of thousands of dollars. Until recently, there was no insurance available to cover cyber liability. Businesses used Commercial General Liability Insurance to obtain coverage for bodily injury and property damage from accidents on their property or in their business, yet this does not protect them from any of the financial losses that can happen from failure to protect the private information of its customers. Insurance companies now offer stand-alone policies to protect your business from many of the financial pitfalls that were stated earlier, that come with a cyber breach. Prices for these policies vary. Considering what they are protecting, it is well worth looking in to the coverage. The application process can be quite simple depending on the need. Because the insurance company must know many details about spy ware protection, internet usage, etc. it is a good idea to work with your IT team when shopping for Cyber Liability coverage. If you own a business, and are looking for protection against a cyber breach, MHG Insurance Brokers would be happy to assist you. Also, if you are looking to purchase other various forms of business insurance such as General Liability or Professional Liability, our insurance specialists have the experience to assist your business and offer advice in finding the perfect plan to fit all of its needs. Contact MHG Insurance Brokers today at +1 954-828-1819 or +44 (0) 1624 678668 or visit us online at mhginsurance.com. Can you guess what the biggest threat to your business is? No, it’s not looting, and definitely not slander, it’s Cyber Breach! A company is only as good as its bottom line, and one of the best ways to ensure your bottom line is where you want it to be, is by employing the best workforce you can. At MHG, we often preach the importance of retaining top employee talent, and one of the best ways to do that is by offering a comprehensive benefit package, mainly a group medical plan. One of the ways insurance companies are trying to keep down their costs is by promoting a healthy lifestyle, and most of the top companies have implanted wellness programs. First, what you need to know about these wellness programs is that they are essentially a rewards program through your health insurance company. They offer incentive by going to the doctor, using a step tracker, logging healthy eating habits, keeping a sleep diary, and much more. Based on the level of activity participants may earn rewards such as gift cards, electronic devices, bikes, etc. ! So now begs the question, how will implementing this help my company? One of the benefits of using a wellness program is the opportunity to save your company money. Depending on the program, you can save a percentage of cost on monthly premium. For example, some programs have different levels to motivate your employees to reach. Each level will offer a higher percentage of savings on that particular employee’s monthly premium. So, if you have a motivated group, there is a potential to save thousands of dollars. Another benefit of implementing a wellness program is the potential of having a healthier staff. If you have a group of healthy workers it will only help the overall morale of your business. Healthy people tend to be happier, work harder, and will be absent less. A group of healthy people may also help keep your cost increases at renewal time to a minimum. Not only does health promote happiness, but so does earning some cool gifts and prizes for FREE! Your employees will appreciate the opportunity to earn free gifts or free money in the form of gift cards by simply going to the doctor and/or increasing physical activity. As stated earlier, MHG echoes the importance of companies retaining their top talent, and research shows that employees who feel valued will remain loyal. So, offering a full benefits package including one with a wellness program will only help make your workforce feel like they are valued and important. Thus, helping you long-term by not having to pay to use a recruiter to fill open positions and spend countless hours training new hires. Obviously turnover will happen no matter what, but one of our goals is to help you keep it to a minimum. For more information on other benefits that could be available to your employees, read our previous blog, “Tips on How You Can Afford Health Insurance Benefits for Your Employees” MHG Insurance Brokers offer many different insurance solutions for many areas of business. If you are interested in purchasing a disability plan, health insurance, or life insurance, contact us at mhginsurance.com or call us at +1 954 828 1819. Our insurance specialists have the knowledge and experience to assist and guide you to the best coverage for your budget. 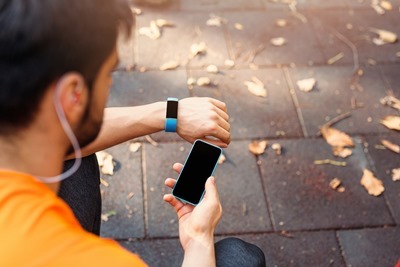 One of the ways insurance companies are trying to keep down their costs is by promoting a healthy lifestyle, and most of the top companies have implanted wellness programs.